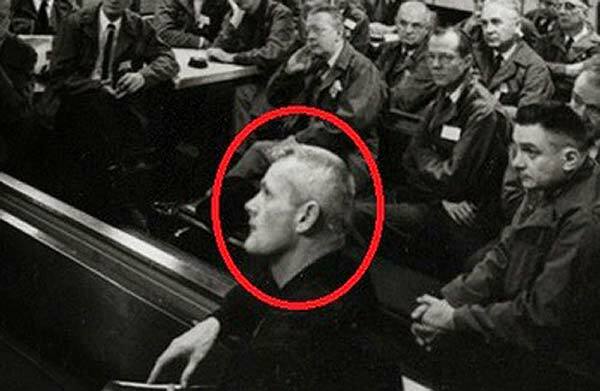 One of the great tenants of the huge Extra Terrestrial/UFO lore that has blanketed conspiracy theories for over 80 years, and one which has enthralled certain fringe ‘believers’: the story of Valiant Thor. The story stems from a book by Dr. Frank E. Stranges, “Stranger at the Pentagon“, first published in 1967. Dr. Stranges (not the Marvel one) was a Christian preacher and founder of International Evangelism Crusades, as well as being a UFO hunter and freelance private investigator. He is perhaps more famous for being an extensive author on the subject of alien intervention and even used his evangelical organisation to publish his UFO literature. He’s a unique figure in the conspiracy world as a devout Christian preacher who was able to reconcile his biblical preaching with his fervent belief and self-proclaimed first hand interaction with E.T. lifeforms. You can read some excerpts from the book at Bibliotecapleyades. In the book Dr. Stranges claims that sometime in 1958 he was given photographs of ‘Val’ Valiant Thor and his second in command Jill and that he had been displaying these photographs as proof of their existence at lecture tours he was giving in his National Evangelistic Centers. It was then at one of these lectures, for the release of his book SAUCERAMA in 1959, he was approached by a woman named Nancy Warren, a Pentagon insider, who offered him the chance to meet Val and speak with him. The story Val presented him with was that on March 16th 1957 in Alexandria, Virginia Val’s ship the Victor One landed and he and his crew of three, Jill, Donn and Tanyia, were greeted by two police officers, and after some quick thought transference, had them call their superior officer, who called the Pentagon and a meeting was arranged with Neil H. McElroy, the Secretary of Defence. Once McElroy confirmed the veracity of Val’s claims he was ushered through an underground tunnel to the White House where he met with President Dwight D. Eisenhower and Vice President Richard Nixon. Now already this story is seeming a little hard to follow, and like cornflakes made of sandpaper, even harder to swallow. But hold on to your tinfoil hat as it’s about to get really weird. According to Dr. Stranges he, and others, were sought out by Val as being devout followers of the word of Jesus Christ. The man we confusingly know as both the Son of God, and God himself is not just the savior of mankind and the planet Earth, but of Venutians and Venus and all life in the Universe at large. That the Bible exists in all life supporting planets, be it in book form or as a thought pattern. This is the word of Valiant Thor. The word he came to preach to mankind, but when asked not to by Eisenhower and Nixon he was content to forgo his mission and acquiesce to their heathen demands. After the book was published in 1967 Dr. Stranges continued to report of his visits by Val (who apparently never went by Thor, so as not to be confused with Chris Hemsworth obviously) and that Val saved his life on at least three occasions, thus allowing him to continue preaching the galactic word of Jesus. It’s here that we intersect with this story as, in our D.U.M.Bs in Dulce: The Ballad of Phil Schneider episode we told you how Phil claims his father, Oscar Schneider, once met and worked with Valiant Thor and Phil displayed a photograph on his lecture tours supposedly showing Oscar Schneider sitting behind Val on board the USS Eldridge. The ship you may remember from our Philadelphia Experiment episode as purportedly being involved in a bout of time travel after invisibility tests went awry. The picture Phil always displayed, showing a grey haired man sitting in front of his father bears no resemblance to the ones leaked in 1958 of a Cary Grant looking Val. Also the time lines don’t add up as Phil’s picture, which does seem to show Oscar Schneider, is dated from 1943, but according to Stranger at the Pentagon, Val was only known to the US government in 1957. Thor had six fingers on each hand, an over sized heart, one giant lung, copper oxide blood like an octopus (coincidence? ), an IQ off the scale (could be estimated as 1200), and could speak 100 languages fluently (including alien languages). He also said his lifespan is 490 years. According to Dr. Stranges, Thor was about 6 feet tall and 185 pounds with brown, wavy hair and brown eyes. Timothy Good, a former U.S. Government consultant who has been vocal about his knowledge of aliens, also said Eisenhower met aliens. What do you think of all these wild and wonderful claims? Could there really be an intergalactic Jesus? And a Valiant Thor of Venus? And a time travelling battleship that they travel on? Or could it be three men who made careers out of the unbelievable, inexplicable and unprovable?